Greetings again from the darkness. “When the legend becomes fact, print the legend.” “I don’t want to be a star, I wants to be a legend.” The first quote comes from THE MAN WHO SHOT LIBERTY VALANCE and the second is drawled by Blaze Foley as he snuggles with his muse and lover in the back of a pickup truck. We can imagine the first quote inspired many stories over the years by those who knew Blaze, and it might also have served as a driving force for writer/director Ethan Hawke as he crafted this graceful tribute to an underappreciated songwriter and his too short life. Mr. Hawke is a 2-time Oscar nominee as an actor, and his best known previous turn as director was for CHELSEA WALLS (2001). He (a distant relative of Tennessee Williams) has also been twice Oscar nominated as a writer (BEFORE SUNSET, BEFORE MIDNIGHT), and his movies are often music related or influenced. His latest is a biopic of a mostly unrecognized country-folk artist, and Hawke collaborated with Sybil Rosen to adapt her memoir “Living in the Woods in a Tree: Remembering Blaze Foley”. It’s Ms. Rosen who shared the bed of that pickup referenced in the first paragraph above. 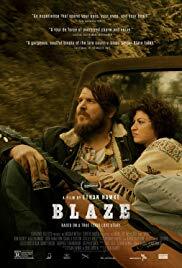 Ben Dickey plays Blaze and Alia Shawkat plays Sybil. Not only does Dickey capture the spirit and sound of Foley’s music, but the scenes with Blaze and Sybil as a couple are some of the most touching and realistic relationship sequences we’ve seen on screen. We understand their connection … and their disconnection. It’s proof that two people can be both ‘made for each other’ and ‘wrong for each other’. Director Hawke utilizes different time periods, as well as a framing device in the form of a radio interview. 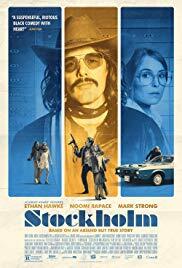 None of this works in traditional biopic manner as the interview features the great troubadour and musical poet Townes Van Zandt (played exceptionally well by Charlie Sexton) recollecting the times (both good and bad) he spent with his friend Blaze. He’s joined by another Foley friend and collaborator, Zee (Josh Hamilton) as the two color in the blanks to ensure the legendary status desired by Blaze. The DJ is voiced by Ethan Hawke, who is only seen from behind. In addition to the radio interview and the relationship with Sybil, we also have multiple scenes of Blaze’s final live show being recorded at the old Austin Outhouse. The nearly two hours of music and philosophizing were turned into a record release that remains (nearly 30 years later) a mesmerizing listen. These 3 very distinct pieces fit together to bring Blaze into focus as both a songwriter and troubled man – one who found himself in too many fights and, ultimately, on the wrong end of a gunshot in 1989. Philosophy and homespun wisdom and catchphrases flow from Blaze during his songs and even when he’s just hanging with his buddies or Sybil. The real Sybil Rosen plays her own mother in a scene where Blaze meets the parents, and there is a touching moment in the film where Blaze plays for his estranged dad (a wonderful, albeit brief performance from Kris Kristofferson), the founder of The Singing Fuller Family where Blaze got his musical start. It’s these kind of touches that elevate the film into a must see whether you are familiar with Blaze Foley or not. BLAZE FOLEY: DUCT TAPE MESSIAH is a 2011 documentary that would nicely compliment Mr. Hawke’s film, although this version contains much more humor – including cameos by Steve Zahn, Richard Linklater and Sam Rockwell as Zephyr Records executives. With Louis Black (founder of SXSW and a former film class TA of yours truly) as an Executive Producer, and songs by Blaze Foley and Townes Van Zandt, this little gem is likely to awaken viewers to a bygone era of music that tends to be remembered only for Willie, Waylon, Jerry Jeff and Merle. Greetings again from the darkness. Those of us in the United States have always loved a rags-to-riches success story … it’s the personification of the American Dream. The only thing we seem to enjoy more is tearing down the pedestals that we build for those folks, and then ripping apart their legacy. 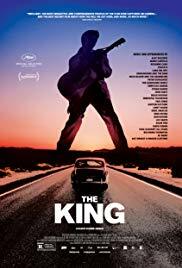 Acclaimed director Eugene Jarecki (WHY WE FIGHT, 2005) strains rigorously in his attempts to connect Elvis Presley selling out his talent for money with the transformation of the U.S. from a democracy to a crumbling capitalistic empire (likened to ancient Rome). The really interesting thing is that the film, despite being a staccato mess, is quite fascinating. Director Jarecki’s gimmick here is that he is taking a musical and historic road trip in the 1963 Rolls Royce once owned by Elvis. Along the way, he picks up passengers – some of which are musicians who perform in the backseat. The passenger list includes James Carville, John Hiatt, M Ward, Linda Thompson (ex-girlfriend of Elvis), Immortal Technique, and “best friend” Jerry Schilling (a comical description if you’ve read his book). Chuck D from Public Enemy is interviewed due to his famous lyric: “Elvis was a hero to most, but he never meant s**t to me”. 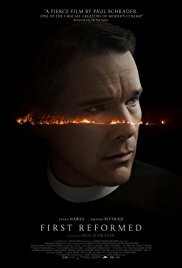 The contradictions from this interview fit nicely with the contradictions throughout the film. George Klein takes Jarecki on a quick tour of Humes High School, and Ashton Kutcher babbles about fame – though he makes one spot on remark regarding the prison of fame, something much of the film seems to ignore. Producer Ethan Hawke spends a good amount of time on camera and in the front seat, while author and activist Van Jones seems narrowly focused on cultural appropriation and angry that Elvis never used his clout to help the minorities that influenced him. Filmed in 2016, the film works hard to include the Presidential election, and we even see the sanctimonious Alec Baldwin adamantly proclaiming that Trump won’t win. Jarecki is himself an activist, and here he stretches to prove his points – tying together everything from Elvis’ induction into the Army to the Trump election more than a half-century later (and 40 years after his death). The road trip kicks off in Elvis’ birthplace of Tupelo, where we meet some locals who talk about the lasting impact of Elvis on their town – a town still drenched in poverty. Memphis is next, and we hear about the 3 local kings: BB, Elvis and MLK. Jarecki even inserts a shot of the Rolls next to the Lorraine Motel. There is a terrific bit with the students from Stax Music Academy who perform “Chain of Fools” in the backseat. We then head to NYC and Nashville, capping off the musically creative portion of Elvis’ career. Next up is Hollywood, Hawaii, and finally Las Vegas. At times, the film is just flat out weird. One segment force feeds parallels with the 1933 KING KONG movie (yes, really), then Elvis as a tourist, and finally, Dan Rather’s all too familiar voice performing “America the Beautiful” … each piece featuring the Empire State Building. But just when a Bernie Sanders rally makes you want to turn off the film, we get an insightful Mike Myers effectively pointing out the hypocrisy of the American Dream as sold by the government, or David Simon questioning the choice of the Rolls over one of Elvis’ prized Cadillacs, or Sam Phillips’ (Sun Records) son re-telling the story of how his father lost Elvis to the carnival-barker Colonel Tom Parker (neither a Colonel nor a Parker). Jarecki and co-writer Christopher St. John try to weave a tapestry of fame and money with cultural and societal shifts. Some segments work, while others fall flat. The editing of talking heads sometimes gives the feel of a debate, but often the scattered and choppy film meanders through multiple messages whilst driving the backroads of the country. We get clips of Elvis on the Ed Sullivan Show and getting his famous locks sheared in the Army, and the 1968 comeback special; however, there is little mention of Priscilla, Lisa Marie or Graceland. Judging Elvis for money grab without seeming to take into account his young age (he was 21 when he first appeared on Sullivan, and 23 at his Army induction) and his extreme poverty of youth, much less the power of his domineering agent, seems to be harsh judgement in an era that had never seen such media giants as the Kardashians or Justin Bieber. When Jarecki’s road chief admits, “I don’t know what the hell you’re doing” (when Jarecki asks him what he thinks he’s doing with the movie), it’s the first time we can actually relate to what someone has said. 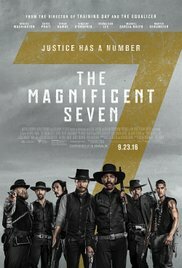 Despite all of that, you’ll likely be glued to the screen for the full run time – either enjoying the songs, watching the clips, or trying to see if Jarecki’s puzzle pieces even fit together. Greetings again from the darkness. As the saying goes, “opposites attract”. It seems the bond between Canadian folk artist Maud Lewis and her reclusive employer/husband Everett Lewis prove this so – at least at first glance. However, digging deeper, as director Aisling Walsh and writer Sherry White do so expertly here, we discover an abundance of subtle similarities and life events that connect these two … showing yet again that real life is often stranger than fiction. 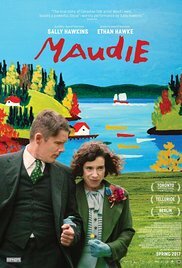 Sally Hawkins delivers her best performance to date (and a slam dunk Oscar nomination awaits) as Maud. She somehow manages to look even smaller on screen and capture the twisted, painful posture and movements of one stricken with severe arthritis. Ethan Hawke is Everett, the local fish peddler who lives like a hermit in his one-and-a-half room shack on the outskirts of town. Our first glimpse of Maude has her sneaking a cigarette on her Aunt’s porch while she listens to family members argue about who has to care for her. We first see Everett has he stomps into the general store demanding the shopkeeper write out and post his job opening for domestic help. Filmed in Canada and Ireland, cinematographer Guy Godfree captures the harshness of the seasons and, more impressively, the claustrophobic and sparse living conditions of Maud and Everett’s tiny home (nothing like the HGTV segments). Maud’s sweetness and never-ending ability to find joy in the moment contrasts with Everett’s cantankerous and even initially cruel approach. These polar opposites are both societal outcasts, but eventually develop respect and yes, even love (though such a word would never be exchanged between the two). Hawkins and Hawke share two especially fabulous scenes – their initial meeting in his house, and a many-years-later emotional exchange on a bench. Hawke’s character is a bit challenging for the audience, but Hawkins captures our heart immediately. Supporting work is minimal, yet effective, as Zachary Bennett plays Maud’s brother Charles, Gabrielle Rose is her Aunt Ida, and Kari Matchett is Sandra – the New Yorker with the fancy shoes who first spots Maud’s talent. Much of the story focuses on Everett’s pride and Maud’s joy/spirit, while slowly they both gain a bit of fame thanks to her artistic talent and their living arrangement. Ms. Hawkins has long been an underrated actress (despite last year’s Oscar nomination), and her turn in Happy-Go-Lucky (2008) was proof she could carry the lead. Here, seeing her hoist such a real life character and story on her hunched back is a thing of beauty and is not to be missed. It’s an artful movie about an artist and making the best of life. The film’s music is perfectly understated and features acoustic guitar, violin and piano. It should be noted that the end of the film features a clip of the real Maud and Everett, and their house has been preserved and displayed at the Art Gallery of Nova Scotia. Greetings again from the darkness. A significant portion of Woody Allen’s film career has been projects that seem designed to appeal to (sometimes only) the New York intellectual sub-culture. You know the type … those who thrive on talking (incessantly) about all the things they know, often without really accomplishing anything themselves. They are the kind of people we usually laugh at, rather than with. Filmmaker Rebecca Miller appears ready to accept the passing of the Woody Allen baton, and at a minimum, her latest is heavily influenced by his comedic-brain food. Ms. Miller casts perfectly for her first film in six plus years (The Secret Life of Pippa Lee, 2009). 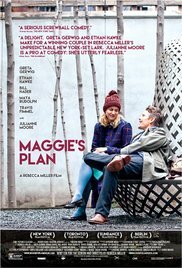 Greta Gerwig plays Maggie, whose ever-evolving “plan” is both the title and focus of the film. Ethan Hawke plays John, the middle-aged crisis guy who wants desperately to be showered with attention. Julianne Moore plays Georgette, John’s slightly odd and brilliant wife, and mother to their two kids. Other key players include Travis Fimmel as Guy, a pickle entrepreneur and the center piece to Maggie’s master plan; Bill Hader and Maya Rudolph as friends and confidants of Maggie; and Wallace Shawn, always a treat on screen. The story starts out pretty simple, and then gets complicated, and then kind of loses focus before ending just right. Perpetually whining Maggie has admittedly given up on ever finding the kind of true love that results in a happy family. Because of this, she has recruited former schoolmate and math whiz and pickle dude Guy to supply the missing link for her artificial insemination. This leads to one of film’s rare cheap laughs and one that not even the quirky Gerwig can pull off. A payroll mishap brings Maggie and aspiring novelist John (a ‘ficto-critical anthropologist’ by trade) together, and her willingness to read his writing and offer some support, is all it takes to finish off John’s slowly disintegrating marriage to Georgette (Ms. Moore dusting off the Euro accent she used in The Big Lebowski). Writer/director Miller is the daughter of famed playwright Arthur Miller, who wrote Death of a Salesman and was once married to Marilyn Monroe (after Joe DiMaggio). She also directed The Ballad of Jack and Rose, which starred her husband, Oscar winner Daniel Day-Lewis. Much of her latest film feels contrived and over-written … as if every scene carries the burden of generating a laugh out loud moment. It shouldn’t be too surprising that the ultra talented Julianne Moore creates the most interesting character, though unfortunately, she has the least amount of screen time among the three leads. It’s good for a few laughs, as well as some cringing … and an ending that actually works.